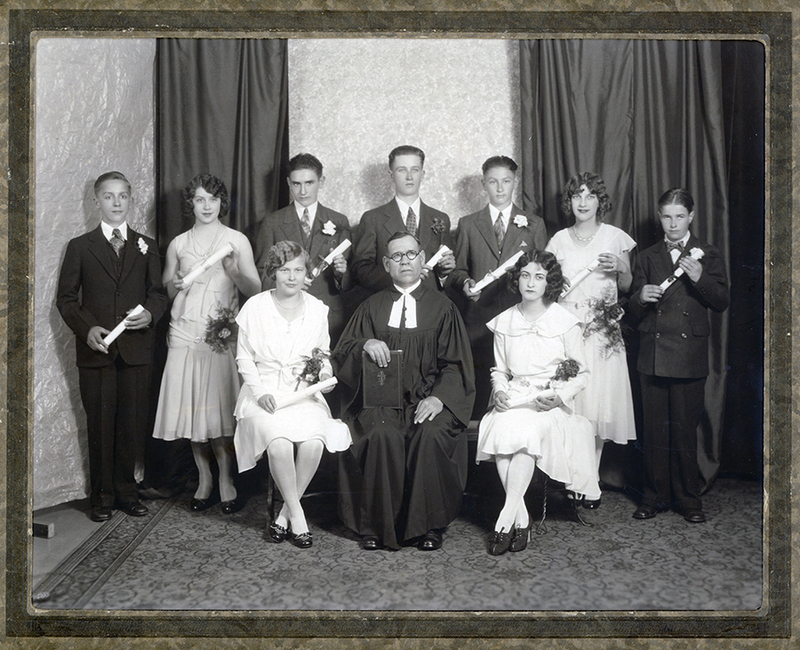 The St. Pauls Evangelical and Reformed Church Confirmation Class of 1930. Front row from left to right: Lydia Schmidt, Rev. Elias Hergert, ?. Back row from left to right: August Erdman, ?, ?, ?, ?, ?, ?. Photograph courtesy of Marlene Garvey and Barbara Larson who identified their father, August Erdman. Marilyn Pefferly and Steve Schreiber identified their aunt, Lydia Schmidt (Smith).